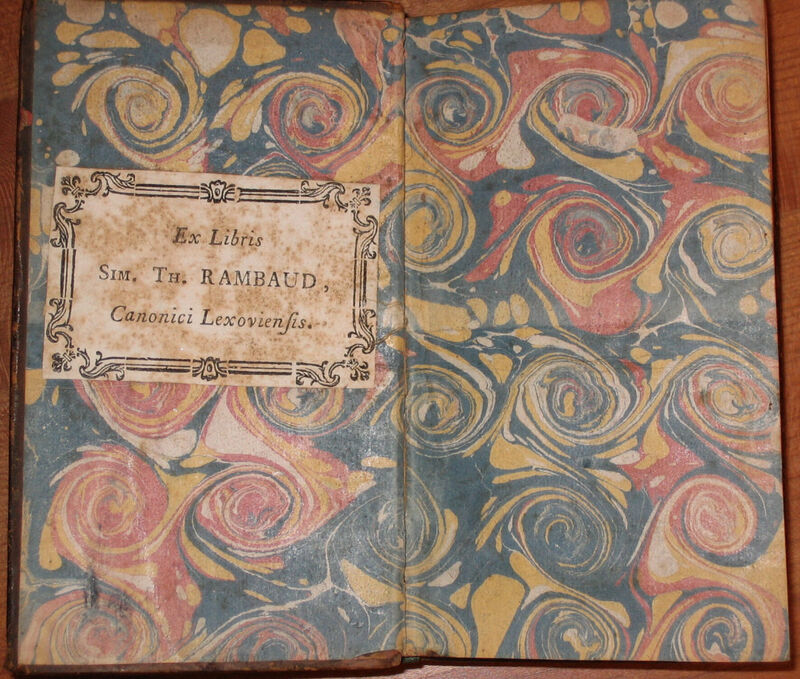 It was very common in the 19th century to have marbled paper as the endpapers of books. These days the endpapers usually tend to be either a photograph or are just left white. 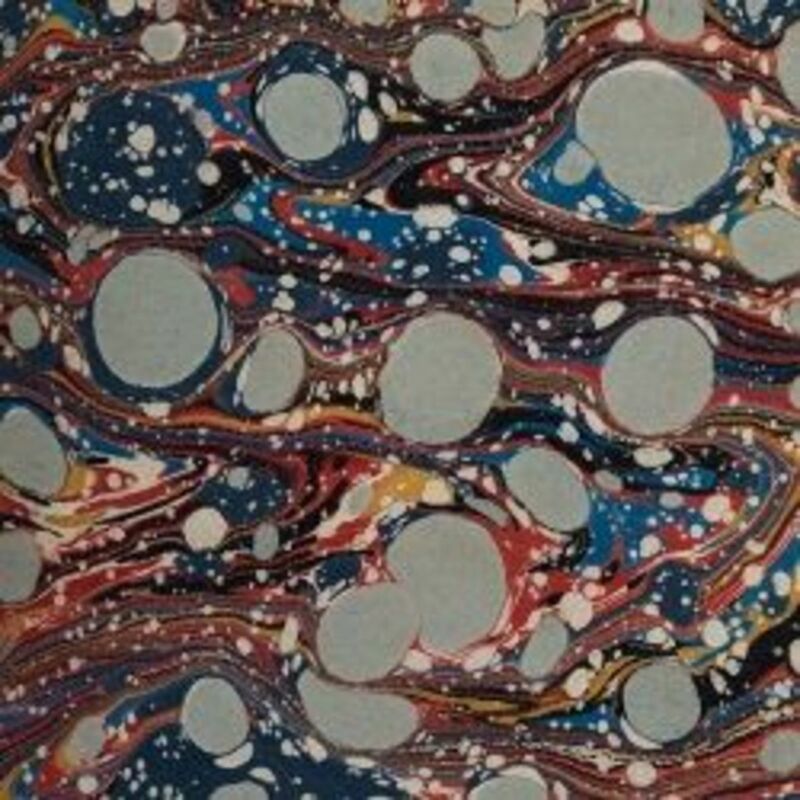 While I personally have never made marbled paper, I would love to learn how to do it. Therefore this lens is my attempt to show you how to make marbled paper. The art of Marbling paper is thought to have begun in China and Japan around 1000 CE. Eventually this art moved along the Silk Road into Persia (Iran) and later to Turkey around 1500 CE. When the art of EBRU (cloud art) was discovered in Turkey by the Europeans around 1600 CE, it was taken up by european bookbinders, and became the most common artwork displayed in new books for well over 200 years. 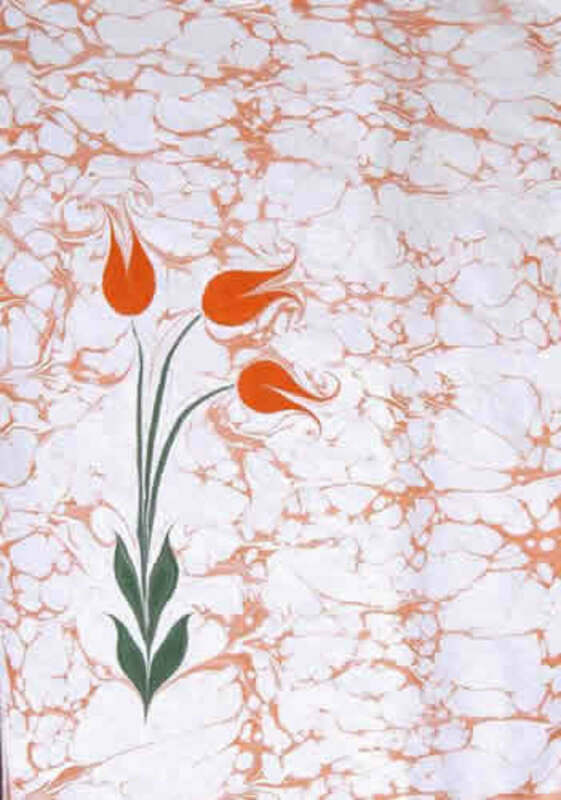 Ebru or marbled paper was most commonly displayed in books as endpapers (inside the front and back covers of books). Original antique endpapers are now highly prized in antiquarian books and are added to the projected price of the book when it is up for sale. For centuries, paper marbling masters worked in secrecy to maintain a shroud of mystery to prevent others from mastering the craft and going into business for themselves. Eventually in England, in 1853 a man named Charles Woolnough wrote a book called The Art of Marbling and greatly upset the artists for exposing their secrets. In the 20th and 21st century, marbled paper designs are now most often used as greeting cards, wedding invitations and I have also seen them used on photo frames. This is how marbled paper would look inside an antiquarian book. The Bookplate identifies who the book once belonged to. And yes bookplates were very common. 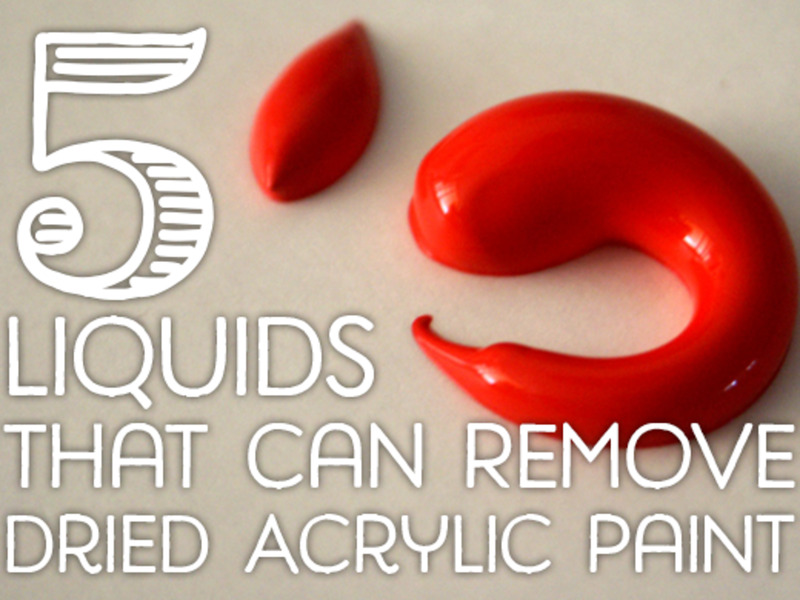 Add water to the paints to make them more fluid. 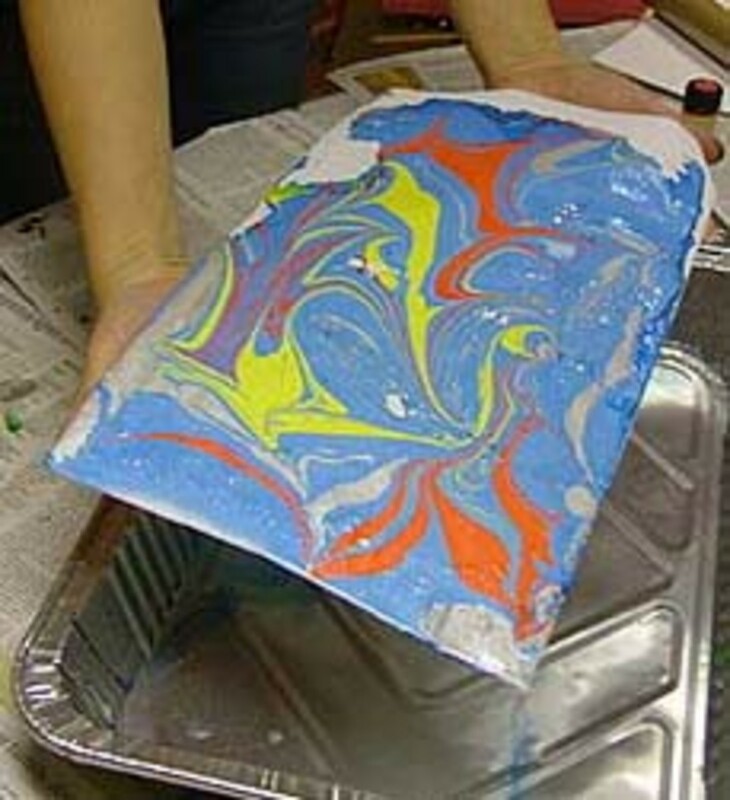 Paint the top of the shaving cream with tempera or oil paints or Food coloring. 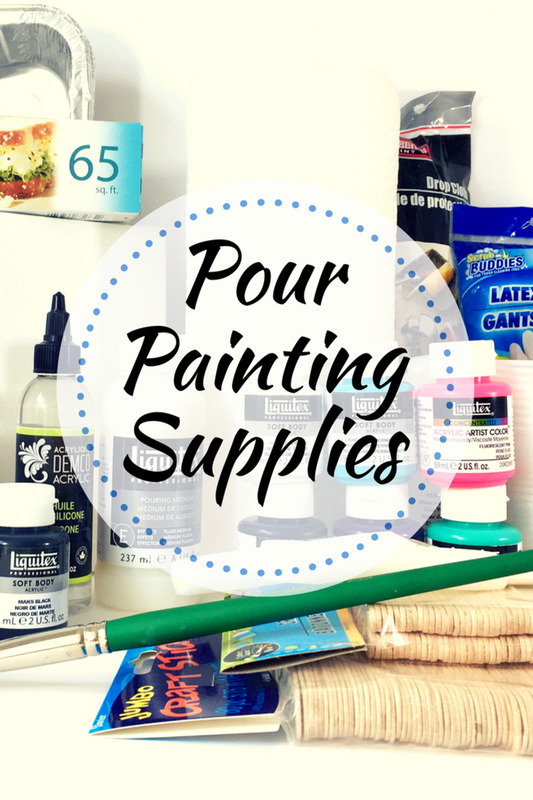 You can mix paints or put one colour on top of another and swirl. Using a toothpick, comb, or skewer, run the pointer through the color, creating swirls and other patterns in the shaving cream. Don't mix up too much or you will just get one large brown mess. Carefully place the paper directly on top of the shaving cream. Use opposite corners to hold the paper. press down lightly and try to remove all air bubbles. Air bubbles leave round blank areas where the original colours of the paper stock show through. You want to pat the paper down gently so that the entire sheet comes into contact with the shaving cream. Then you pull it up gently again. You can either wipe off the shaving cream immediately using a paper towel (a bit of a mess) or you can leave it on for a few hours and when it's dry, it is much easier to remove. The colours then become "fixed" to the paper. Set the paper aside to dry. If it starts to bend or curl, you can either use a heavy book or iron it to straighten it out. First, pour water into the tray until it's 1-2cm deep. Next, add some drops of paint to the water a few at a time. Using the tip of the pencil, move the paint around the tray until all the colours mix round each other in a feathery pattern. Choose a piece of paper or thin cardboard, which is small enough to fit into the tray. Make sure the paper is completely flat, floating on the water. Do NOT let the paper go under the water. Next, gently lift the far end of the paper and roll the paper back from the water. Leave your marbled paper lying flat on some newspaper until it's completely dry. Cover the kitchen counter with newspaper. Fill the pan with water, add the vinegar, and place the bowl in the middle of the newspaper. Using the mortar and pestle, crush a piece of colored chalk to a fine powder, then pour into a paper cup. Repeat for all six pieces of chalk, using a different cup for each piece. Add a tablespoon of oil to each cup, stirring thoroughly with the spoon. Pour the contents of each paper cup into the bowl of water. The chalky colored oil will form large pools on the water's surface. Gently lay a piece of paper on the water's surface for a moment, lift off, then set to dry on a sheet of newspaper for twenty-four hours. When the marbled paper dries, gently wipe off any surface chalk grains with a paper towel. Swirling patterns of colored oil stick to the paper. The molecules of chalk (calcium carbonate), vinegar (acetic acid), water, and the surface of the paper all chemically combine, causing a chemical bond that makes the swirling colors stick to the paper. Your turn to sound off on this Marbled Paper craft lens - Have you ever made Marble Paper? I used to do this with my son - it's so much fun. Thanks for reminding me - I gotta get some marbling inks! Cool, nice lens. Thanks for your sharing. Good lens, great to see it on Squidoo. I am a bookseller of fine press and limited edition books and the publishers of these make extensive use of marbled papers. I really like the myriad of colours within them and admired the creativity of the paper makers. Ann Muir, sadly deceased now, was a brilliant marbled paper artist. Nice lens. The results are really nice. 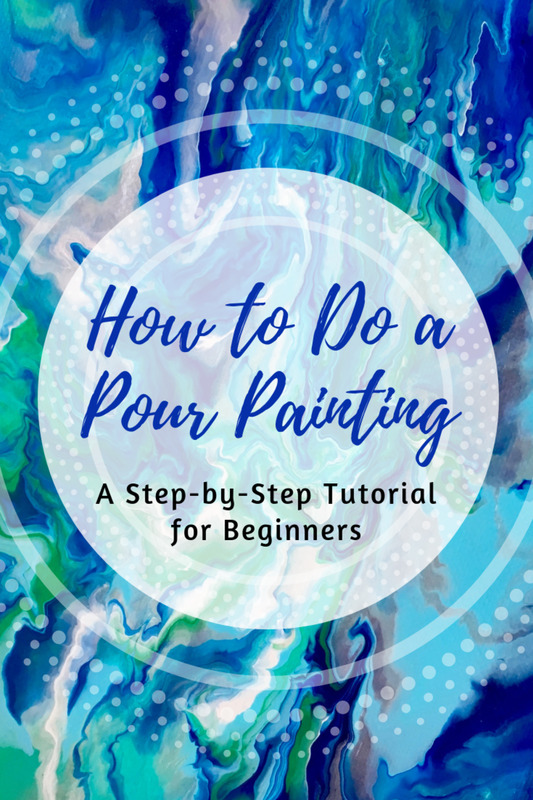 I think marbled paper is cool...and now its something we can all do thanks to you and this wonderful DIY....hope you get around to doing it! I'd really like to make it and I think it would make beautiful wrapping paper! I am thrilled to know that with these techniques, I could try this without even going to the craft store first. Using shave cream is fantastic. I have been doing this for years and I love it!! Since I love old books, the marbled endpapers have strong appeal to me. I'd never read about the shaving cream technique. I might have to try that myself. So cool! I love the look of marbled paper. Good lens, thank you. Your papers look great. I took a class in making Marble paper, I loved it and made many beautiful sheets...it's a lot of fun and easy to do...Thanks for sharing! I love learning simple new crafts like this; fun, not only for me, but to show kids something new. Thanks! Sounds like a lot of fun to make marbled paper. Thanks for sharing how to make it. I love this! 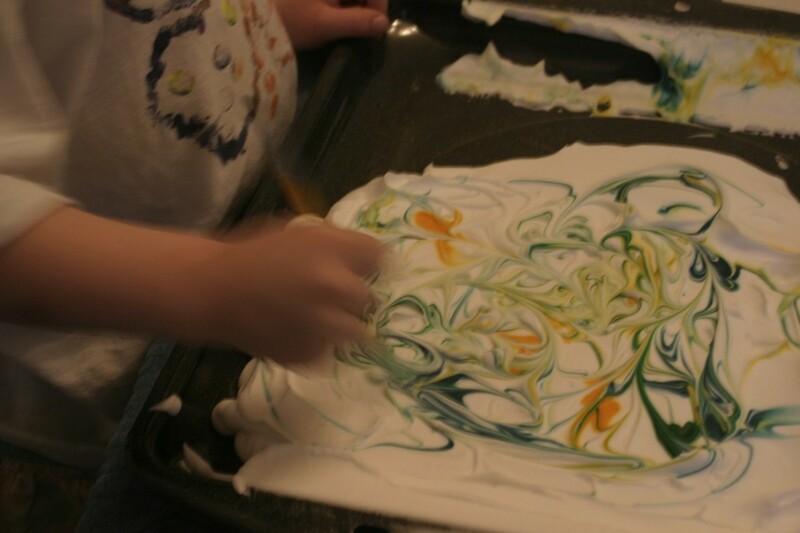 I love the look of marbled paper and will try the shaving cream method with my grandkids. Beautiful. I think I will try it. Wow! Really fascinating art! Thanks for sharing. Awesome! I was aware of the technique, but I've never tried it. I think I'll try the recipe with the chalk -- I'll get back to report what happened! This sounds like so much fun to do. Beautifil. Just perfect for next kids project! I love marbled paper. It looks awesome. Sounds pretty cool. Might be something we would be interested in trying! I lve it, I often use it as a backing for my art and craft projects. I tend to make my own by the simple shaving foam method ( not too much mess?). Love the lens have lensrolled to my lens on using shaving foam. I'm definitely going to have to try this - it looks like so much fun! Making marbled paper is so much fun! We made some just this past week in our homeschool co-op! Well, I've actually used subtle marbled paper for a former resume ... and a former employer. It added a bit of creativity to the project(s). Love it. This looks really interesting. I think I may try it sometime. Wow this is really cool. Not too complicated - your directions are really easy to follow. Great crafting lens! I have never attempted this, but it looks really neat. I love marbled paper,something esles to get into.It looks wonderful!